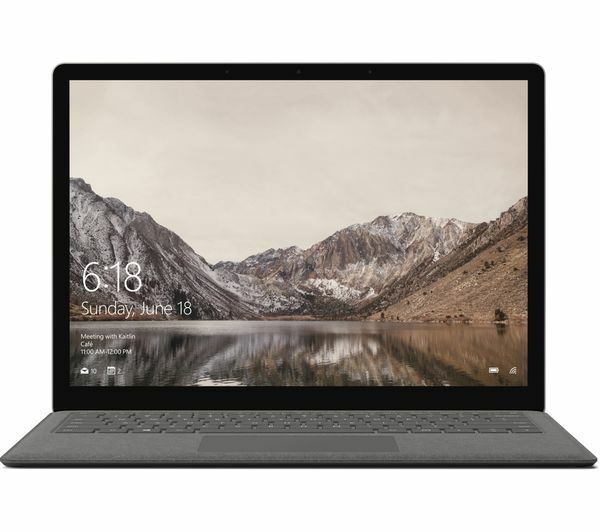 The Microsoft 13.5" Surface Laptop is part of our Achieve range, which has the latest tech to help you develop your ideas and work at your best. 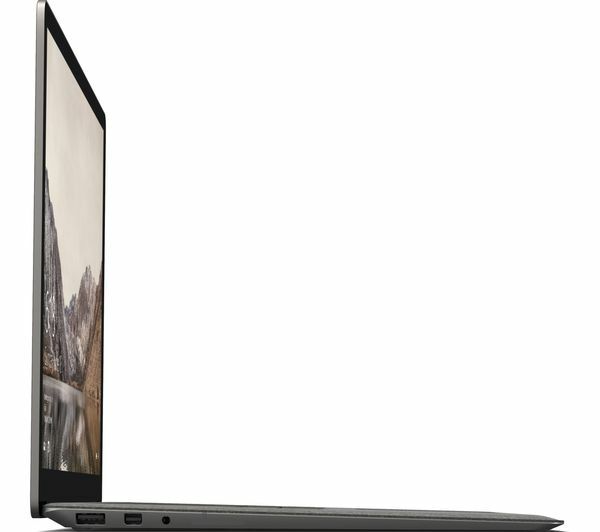 It's great for editing complex documents, business use, editing photos, and anything else you do throughout the day. 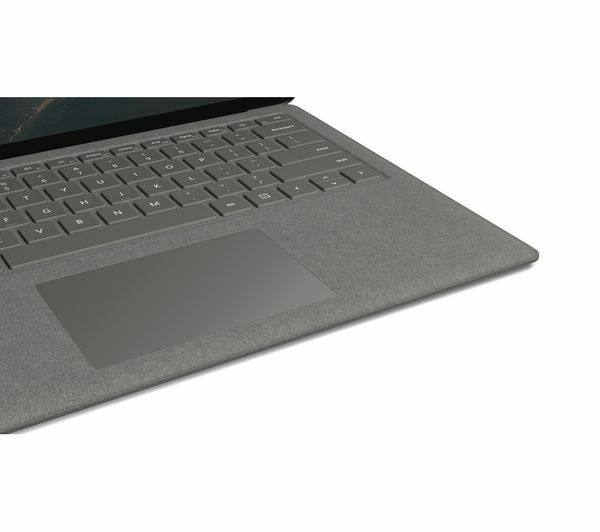 Running on the power of an Intel® Core™ i7 processor, the Surface has 512 GB of SSD storage and 16 GB of RAM. This means you can load programs, play games and transfer huge files without waiting for ages. Its lightweight design makes it practical for powerful computing on the move. The keyboard and palm rest is covered in beautiful Alcantara fabric, which is typically found in high-end car interiors and darkens beautifully as it ages. You can easily control the Surface using its 13.5" PixelSense touchscreen. With its edge-to-edge display and ultra-thin bezel, the screen gives you more space to enjoy your ideas. The keyboard and palm rest is covered in beautiful Alcantara fabric, which is typically found in high-end car interiors and darkens beautifully as it ages. 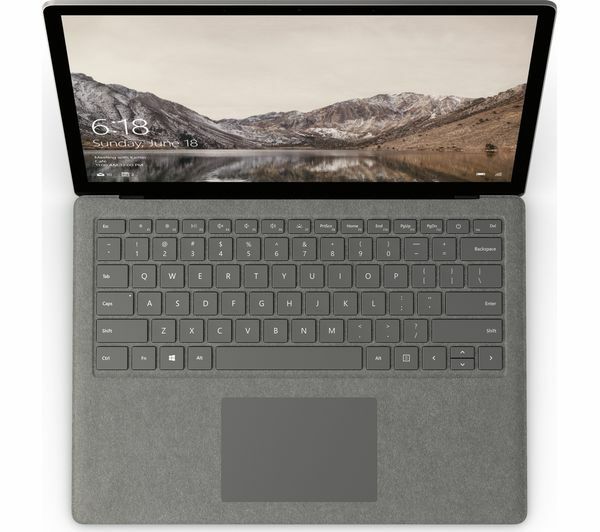 The Microsoft Surface Laptop is designed for Windows 10 S. It's streamlined to provide security and superior performance, using Microsoft-verified apps from the Windows Store. This PC doesn't come with a full version of Internet Security. But don't worry, you'll find great savings on software with the bundles available on the ‘Top Deals' tab on this page. 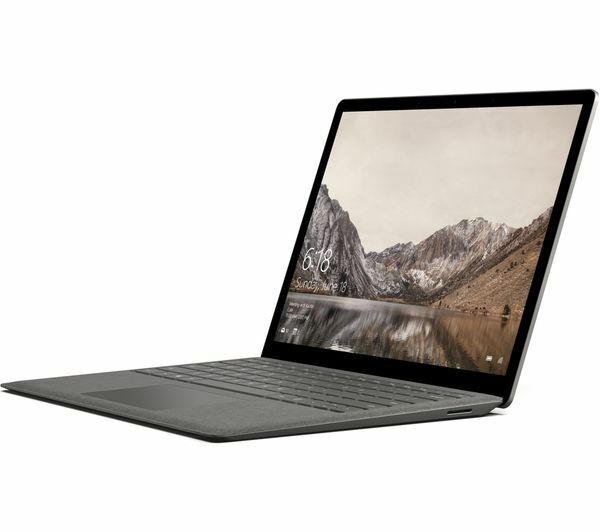 Windows 10 S: Streamlined for security and superior performance. Windows 10 S works exclusively with apps from the Windows Store. Some accessories and apps compatible with Windows 10 may not work, and performance may vary. Certain default settings, features, and apps cannot be changed. 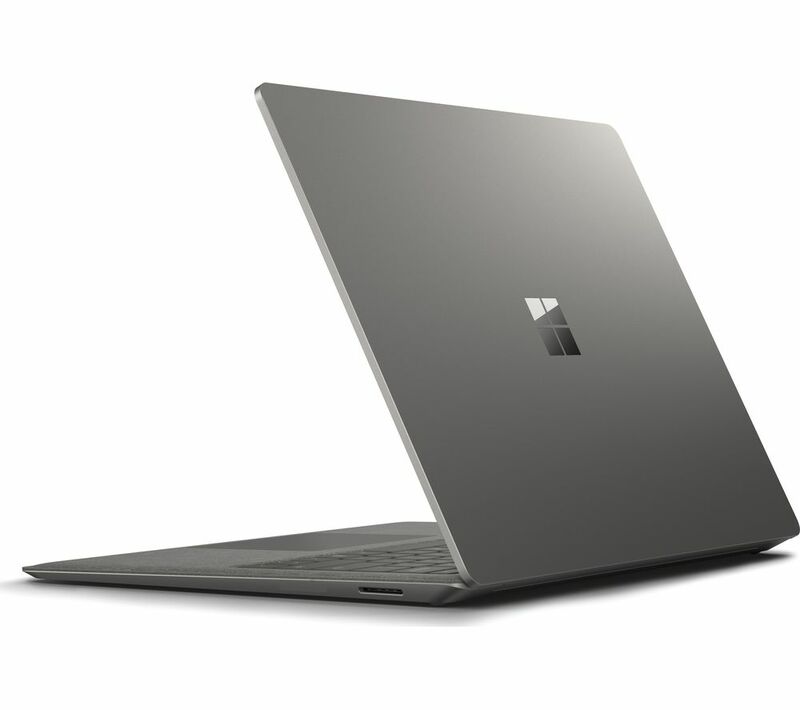 Easily and affordably switch to Windows 10 Pro at any time.